Like every year, Samsung announced a bunch of new TVs at CES in Las Vegas. While in the previous years, all the focus was on the actual TV tech, the last couple of years has been more about AI and other smart features. The trend continued at CES 2019 as well with the company talking at length about all the new smart capabilities. Most of these new features are centered around more content partnerships, enhanced AI capabilities, and better device connectivity. In terms of new content partnerships, the biggest news is the arrival of Apple’s iTunes app on Samsung Smart TVs. 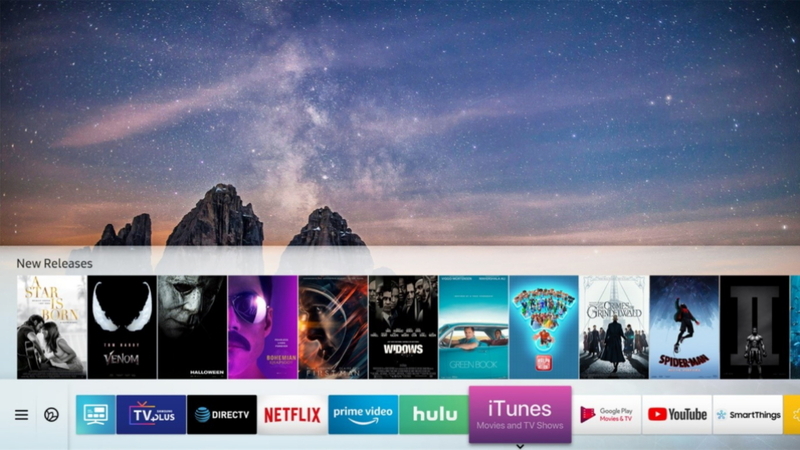 Samsung customers in more than 100 countries will have access to Apple’s vast iTunes library on their compatible Samsung Smart TVs once the app becomes available. The new lineup also supports Apple’s AirPlay 2 to stream directly from iOS and macOS devices without the need for any additional hardware. 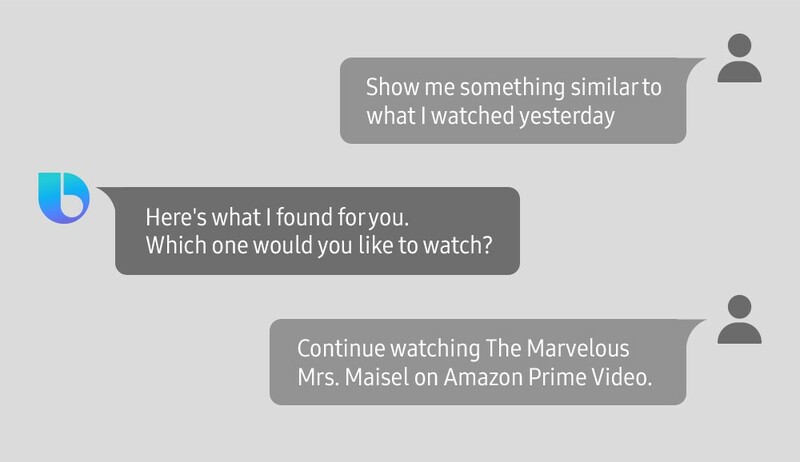 To improve content discovery, Samsung is also making search on the new TVs a bit smarter. As with almost any new Samsung device, the new TVs also come with Bixby onboard, and all the smart features are built around it. The company reiterates that Bixby will get smarter and learn more about a customer’s media preferences with each use. Now, users can ask queries like ‘show me something similar to what I watched yesterday,’ and Bixby will show smarter search results tailored to the user. Samsung also says the new 2019 Smart TVs can hear Bixby commands from longer distances, making the service easier to use. The 2019 Smart TV lineup also brings improvements on the device connectivity front. Customers can use Amazon’s Alexa and Google Assistant to execute operations like turning the power on/off, changing channels, launching apps, controlling the volume, etc. While third-party assistants will work nicely with Samsung’s new TVs, none of them are as deeply integrated as Bixby. Another new device connectivity improvement is the recently announced Remote Access Control feature for nearby devices. Using this feature, customers can wirelessly control connected PCs, laptops, smartphones, tablets, etc. and access programs and apps on the big screen. The Samsung 2019 Smart TVs are not that different from its 2018 lineup, at least when it comes to the much talked about smart features. In fact, customers can expect some of these new features to come to the older generation Smart TVs via a software update in the near future.